The Vanderbeekers of 141st Street by Karina Yan Glaser is a charming, funny, and heart-warming book about the five Vanderbeeker kids—Isa, Jessie, Oliver, Hyacinth, and Laney—and the plans they concoct to stay in their beloved Harlem home after their grumpy landlord decides not to renew their family’s lease. It’s an absolute joy to read, and it would make a perfect class or family read-aloud. You will want to climb inside the world of this story and stay there, befriending the entire Vanderbeeker family! Just in case you need any more convincing, here are our top five reasons why you should read the book, plus a “Which Vanderbeeker Are You?” quiz to help you determine your Vanderbeeker kindred spirit. 1.) The setting. The book features an extraordinarily vivid, delightful setting—Karina Yan Glaser does a masterful job of depicting the Vanderbeekers’ brownstone and their entire Harlem neighborhood. People often talk about world-building in fantasy or science fiction, but the world-building in this contemporary realistic story is top-notch. 2.) An interesting, happy family. It’s refreshing to read a book that features a big, noisy, content, biracial family with devoted parents and lots of lovable siblings and pets. Sure, the Vanderbeeker siblings have some conflicts, but the moments of affection between the kids and the parents are truly touching. 3.) The story isn’t just happy. Overall, this is a humorous, joyful story, and reading it feels a bit like curling up under a cozy blanket and eating Mama Vanderbeeker’s double chocolate pecan cookies. But there’s some tragedy in the novel as well, and it’s handled in an appropriately gentle way but is not at all sugarcoated. This is a comforting story, yes, but it’s set in a world in which sadness coexists with joy. 4.) The ensemble cast of main characters. In this book, you get five main characters for the price of one! All five Vanderbeeker siblings are equally lovable and equally well-developed. Any writers who want to write a book with an ensemble cast would do well to study this one! 5.) More Vanderbeeker adventures are on the way! After you fall in love with the Vanderbeekers in this book, you’ll get to read more about this charming family’s escapades! The Vanderbeekers and the Hidden Garden releases on September 25, and then a third Vanderbeekers story will follow. All of the Vanderbeeker siblings are delightful, but which one is most like you? Take this quiz to find out! 1.) Your friend is having a terrible day. How would you cheer her up? a.) By playing her favorite song for her. b.) By creating a Rube-Goldberg-type machine that would light up with a smiley face. c.) By writing her a haiku and challenging her to a game of pick-up basketball. d.) By making her something crafty. e.) By giving her lots of enormous hugs! 2.) Uh oh. You’ve done something that frustrated someone you care about. What did you do to push his buttons? a.) You were working so hard on your favorite creative pursuit that you weren’t around to hang out when he came by to see you. b.) You thought you knew what he would want in a certain situation, so you made a decision for him instead of letting him speak for himself. c.) You lost your temper just a little bit and wrote him an angry note. d.) You couldn’t quite summon up all your bravery and were too nervous to do something he wanted you to do. e.) You got a little too exuberant and knocked him over with an extra-giant hug. 3.) It’s your birthday! What gift is at the top of your wish list? a.) Tickets to a musical performance. b.) An amazing chemistry set. c.) New basketball sneakers and the new book by your favorite author. d.) Arts and craft supplies and a recipe book. e.) Fun clothes for dressing up. 4.) You’re working with a few other people on a group project. What role will you take on? a.) You’ll be the leader who gets everyone organized. b.) You’ll do all the detail-oriented sketches and calculations. c.) You’ll be in charge of the written part. d.) You’ll be in charge of the artistic stuff. Posters and other visuals have your name all over them. e.) You’ll be the one to encourage everybody and to keep a positive attitude even when things are hard. 5.) What would other people say is your best trait? a.) You’re a compassionate friend and you forgive people when they make mistakes. b.) You’re extremely loyal, and you always stick up for the people you care about. c.) You’re not too proud to learn from your mistakes, apologize for them, and make things right. d.) You are always kind to everyone, people and animals alike, and you can be brave even when frightened. e.) You make people laugh, and your enthusiasm and affection bring joy to others. If you answered mostly A, you’re an Isa! Musical, organized, responsible, and kind. If you answered mostly B, you’re a Jessie! Passionate, scientific, and fiercely loyal. If you answered mostly C, you’re an Oliver! You love sports, books, and poetry, and you truly want to do what’s right. If you answered mostly D, you’re a Hyacinth! Brave when you need to be and kind to all. If you answered mostly E, you’re a Laney! Funny, loving, and brimming with contagious joy. We hope you love the book as much as we do, and we hope you’ll join us for the MG at Heart Book Club Twitter chat about THE VANDERBEEKERS OF 141ST STREET! It’s happening on Tuesday, April 3rd at 8:00PM EST. Use the hashtag #MGbookclub to participate! Teaching is a tricky business. Children are inundated with teachers from a young age—parents or caregivers, school or homeschool teachers, media in all its forms. They have an overabundance of people trying to give them information. And done well, with respect and genuine concern for the child as an individual, teaching can be a magical thing that opens up the doors of the world. When I was young, I learned more from books than anything else. And yet when I felt like a book was trying to teach me something I cringed away. I hated most of the books I was asked to read in class. Lesson Books. Moral Books. They always felt patronizing and disrespectful. How could the author of a book—who had never met me, and likely never would—know what I needed to learn? They couldn’t, and it was presumptuous for them to try. And this applied even to me—a cisgendered, straight, white boy who could see his own experience reflected back at him in almost every book he read. How much further off the mark must these lessons be for children who weren’t represented in the books they read? Who couldn’t read the voices of people who shared their experience? So how did I learn so much from books, while avoiding books that tried to teach me? When I decided to write children’s books (largely because they’re still the books I love to read), it became an urgent task to figure that out, so I could avoid being yet another patronizing voice in young lives. I care about my readers, but I don’t know them personally, so I can’t presume to know what they need from my books. As I started writing I went back to the stories that resonated with me—books like Susan Cooper’s Dark is Rising series, or just about anything by Charles de Lint. What I found was that these books weren’t trying to teach something so much as trying to figure something out. They’re searching for answers, rather than revealing them. This has certainly been the case in my books, Dominion and Terra Nova. Molly, the hero, struggles to figure out who she is, who she wants to be, and how to do the right thing in a world that actively pushes against it. Here on the other side of adulthood, I’m still neck-deep in those same struggles. Writing Molly helped me find my own answers. And helped me realized that no matter how many answers I find, I can never stop asking myself these big questions. It’s the questions I hope people take from my books. Young readers will be able to come up with their own answers, answers I could never imagine. Braver answers, smarter answers, maybe even simpler answers (which, for me, are the most difficult to find). In Dominion, a wind spirit named Ariel helps Molly get hold of a journal with some secret—and dangerous—information. When Molly asks Ariel why she’s helping, Ariel says, “Because the journal you seek contains surprising information, and you, Molly Stout, are a surprising girl. I am curious to see what might happen if I bring the two of you together.” As an author, I want to be like Ariel. I can’t predict what will happen when readers meet my books. But I’m curious to see. Shane Arbuthnott is the author of the Molly Stout Adventures from Orca Book Publishers. Both DOMINION and TERRA NOVA will be available in paperback on March 27th—but if you can’t wait, the first book is already available in hardcover. Shane grew up in Saskatoon, Saskatchewan, and now lives in southwestern Ontario with his family. His short fiction has previously appeared in On Spec and Open Spaces. When he is not writing, he can be seen chasing his three adventurous children, trying to convince them to eat green things. For more information, visit http://www.shanearbuthnott.com. Today we are excited to welcome author Tami Charles to #MGBookVillage to chat about her debut novel, Like Vanessa, pageants, and much more! I am so excited to see your debut novel, Like Vanessa, out in the world and getting all kinds of love! What is this story about? I so appreciate the love! Thanks so much! Like Vanessa tells the story of 13-year-old Vanessa Martin, who faithfully watches the Miss America pageant, but never sees anyone who looks like her win. That all changes on September 17, 1983, when Vanessa Williams makes history as the first woman of color to win this title. Finally, young Vanessa believes that she can also reach for the impossible. The opportunity arrives when her school hosts their very first pageant. Vanessa’s grandfather and cousin believe in her, but her classmates think she doesn’t stand a chance. What kind of research did you do to make the details feel authentically 1983? The Newark Public Library has an awesome research room with news clippings from that time period. I spent some time there, reading and absorbing events that took place in Newark and beyond. I also had lots and lots of conversations with my father, who lived on Grafton Avenue, where the story is set, for many years. I lived there briefly, but I was quite young. He helped fill in some of the blanks for me. And lastly, thank goodness for Google! I’ll admit that I’ve felt a bit ambivalent about pageants, but your novel helped me see a different side. What was your pageant experience like and what elements of that experience did you want to convey in Like Vanessa? I should probably point out that I don’t believe this isn’t necessarily a “pageant” story. One could easily fill in the blank with any school- related activity and the feelings of ambivalence and doubt would remain. I remember trying out for cheerleading and being deathly afraid—I was awful, by the way! One thing is for sure, no matter what your dream is, it’s good to have a role model who came before you to pave the way. That’s what Vanessa Williams did for me and for my main character. My experience with pageantry was a positive one. There were a few competitive moments, but the friendships gained, lessons learned, and opportunities provided outweighed any aspect of pageantry that could be deemed as negative. I think Vanessa Martin sees this in her journey as she prepares herself for the Miss King Middle School contest. What advice would you give young girls today who might be considering participating in pageants? Find the right pageant that aligns with your goals. “Beauty” pageants weren’t really my thing. I mostly participated in pageants where your academic standing and talent were crucial to your chance of winning. Scholarships are a big deal, too. And last but not least, many pageant systems promote community service as part of their branding. All of these ideals are, to me, what makes a pageant worth signing up for. I really appreciated that Vanessa is not the typical “beauty queen.” She admires Vanessa Williams but doubts that her own incredible talent – her voice – will matter because of her darker skin and larger body type…. For me, it was important that I showed this contrast. Yes, a black woman won Miss America, but in young Vanessa’s eyes, she questioned if her “black” was beautiful enough. Vanessa Williams has a much lighter complexion than my main character, who is dark and reluctant in seeing her own beauty. Young Vanessa’s singing voice alone would have gotten her through the pageant, but she still had crippling doubts because of her complexion and body type. Colorism is an issue that runs deep in POC communities and the media, especially during the 1980s era, didn’t do much to show the beautiful complexities in the ranges of our skin color. I enjoyed developing Vanessa in a way that made her love the skin she’s in. And did I see that you actually MET Vanessa Williams?! What was that like? Amazing! Incredible! I probably said something silly, but who cares! I met THE QUEEN!!!! Ah, TJ! I loved developing his character! In my mind, in the year 2018, TJ has his own couture fashion line, a penthouse in Manhattan, an amazing husband, and adorable twin daughters. He is living and loving the way he should’ve been able to in 1983. One of the things I loved about Like Vanessa is how it shows the power of one teacher’s belief in their student to make a huge difference in that child’s life. Did you have a Mrs. Walton? Oh, most definitely! I’ve had several Mrs. Waltons in my life. But before I mention them, I want to clarify that Vanessa Martin initially had trust issues in relation to Mrs. Walton, who was a new, white teacher at school. Mrs. Walton was not able to convince Vanessa to do the pageant. Her Pop Pop and cousin, TJ, were instrumental in encouraging Vanessa to compete. They deserve all the credit. Mrs. Walton certainly helped, but Pop Pop and TJ worked with Vanessa daily on preparing her for her moment in the spotlight. That said, I have to acknowledge the “Mrs. Walton’s” in my life. My amazing teachers at University High School: Juanda Boxley, Darnell Davis, Marie Gironda, and Quetzy Rivera. Thank you for lighting a fire in me that still burns bright today. What are you are working on next? I’m currently revising a YA novel, which will be a companion to Like Vanessa. The story will focus on the bully, Beatriz Mendez, from book #1. Beatriz wasn’t born mean. Once upon a time, she had a dream. We’ll see it reignited in book #2. I just finished “The Poet X” by Elizabeth Acevedo. So, so good! Right now, I’m loving “The Way to Bea” by Kat Yeh. The poetry is lush and addictive. Visit Tami online at her website and on Twitter and Instagram. 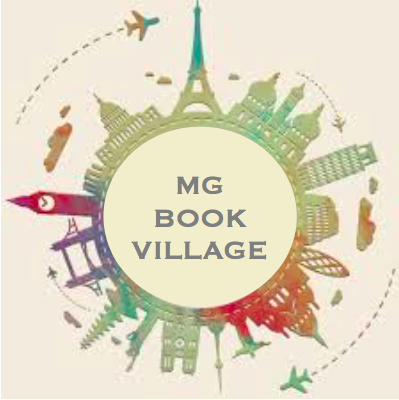 When Jonathan Rosen told me he was interested in hosting the cover reveal for his next book, From Sunset Till Sunrise, here at the #MGBookVillage, I was psyched. His debut, Night of the Living Cuddle Bunnies, was one of my favorite novels of last year. The book did something that I find exceptional, not to mention a whole lot of fun — it both creeped me out AND cracked me up. If you haven’t read Night of the Living Cuddle Bunnies yet, do yourself a favor and read it before From Sunset Till Sunrise hits shelves. In the interim, check out my brief interview with Jonathan below — and, of course, stick around to see the new book’s cover! Before we get to the cover, can you tell us a little about the new book? Absolutely! From Sunset Till Sunrise is a sequel to Night of the Living Cuddle Bunnies. This time, Devin and his cousin Tommy suspect the new girl in the neighborhood is a vampire. When they go to a dance at her performing arts school, the Nosfer Academy of Talented Understudies, Devin and Tommy try to make sure this isn’t one party that lasts forever. While the first book played off of zombie movies and films such as Gremlins and Fright Night, I tried to give this one a feel of From Dusk Till Dawn, but for middle graders. Your first book managed to do something I find quite incredible: it blended the humorous and the horrifying — often in the space of a single scene, and sometimes even in the space of a single sentence! How do you accomplish that? Thank you! I find that horror naturally lends itself to comedy. You always want to yell at the people on the screen about the stupid decisions they’re making. Don’t go in the house! Why are you opening that closet instead of running away? No, the man with the hook isn’t a good person to ask for directions! I do try to make the characters slightly self-aware about horror movie staples and comment on them, to give a wink to the reader. Are there favorite books of yours that combine the funny and the frightening? Of course, I’ll start with Goosebumps. There have been other scary/funny books, but that was one of the books that made the genre really successful. I also like Adam Gidwitz’s Grimm series, and David Lubar’s Weenies series. Both fun/scary books. Now, on to the cover. . . Did you have the same illustrator as you had for the first book’s cover? Yes, both illustrations were done by Xavier Bonet, with design by Kate Gardner. I think both covers capture the scariness and humor. What was your reaction when you first saw the new cover? I absolutely loved it. Yes, I know I have to say that, since it’s my cover, but I promise I do! What’s funny is, on Night of the Loving Cuddle Bunnies, they asked me for ideas and didn’t use any of them, and I still loved it. This one, they mostly took what I asked for. So, I’m happy! Okay, now for the big reveal! Whoa! It’s GREAT! And I love how it riffs off the first book’s cover. On that one, Devin is all alone (well, unless you count the horde of cuddle bunnies leering at him…) and looks rather nervous. Here, he’s got a crew, and he’s looking a LOT more ready for whatever is about to come his way. Yes! I love how they’re on stage, with the vampires coming! So, when can readers get their hands on the new book? From Sunset Till Sunrise comes out August 21 of this year, but is available for pre-order now. Thanks a lot for having me and sharing the cover! Jonathan Rosen is a transplanted New Yorker, who now lives with his family in sunny, South Florida. He spends his “free” time chauffeuring around his three kids. Some of Jonathan’s fondest childhood memories are of discovering a really good book to dive into, in particular the Choose Your Own Adventure Series and Hitchhiker’s Guide to the Galaxy. He currently writes middle-grade because he finds that he shares the same sense of humor as that audience. Jonathan is proud to be of Mexican-American descent, although neither country has been really willing to accept responsibility. You can find him on Twitter, Facebook, FromtheMixedUpFiles.Com, The Tuesday Writers and his own website, www.HouseofRosen.com. Jen Wang’s The Prince and the Dressmaker is for an upper middle grade crowd, but is also a welcome addition to its own scene of books. In certain school plays for this book’s readership (including one that I saw last year), boys in dresses provide comic relief, teaching boys and girls that mockery is the expected response. I’m glad that this beautiful, engaging, and fun graphic novel will stand up against those responses. No reader is going to laugh at Prince Sebastian. Handsome, sensitive, and kind as a boy, and glamorous and outgoing in his alter ego Lady Crystallia, Prince Sebastian redefines what it means to be a fairy tale prince. The Prince and the Dressmaker is a fairy tale—but an edgy one with modern elements laced through its 19th century Paris. It begins with the announcement of a ball where all eligible young ladies will be introduced to Crown Prince Sebastian of Belgium, who is celebrating his 16th birthday. One particularly rebellious eligible young lady, however, comes clothed in an unusual gown—“Make me look like the devil’s wench,” she tells Frances the dressmaker, who was assigned to her at the last minute. We see the prince in shadows watching her attentively. He’s not in love with her, though; rather, it’s her dress. And soon Frances, who both designed and sewed it, is working for the prince as his private seamstress, hired to make him dresses. It’s the job of a lifetime for her: to create costumes for a client with bold and adventurous tastes. And for him, it’s a relief: to share his secret love of wearing dresses with someone who will care about making them and him look the best they can possibly be, and who loves high fashion as much as he does. Prince Sebastian is a prince who wears dresses. Not all the time, but when he wants to feel like himself, and feel strong. Secretly going out in Frances’s elaborate gowns as Lady Crystallia is an antidote to the parade of eligible young ladies whom his father the King of Belgium forces him to meet. And at first, this is glorious for Frances, who can let her imagination rule her designs for an appreciative client. But Frances soon realizes that while her dresses will receive great acclaim, she never will while they—and she—are the prince’s secret. Ultimately, this is a story of being true to who you know you are. Prince Sebastian—refreshingly—never wavers in that. And neither does Frances, who risks her close friendship with the prince when she refuses to stay in the shadows any longer. Throughout this book, the King and Queen remind Prince Sebastian of his role, while encouraging him to be himself (not quite understanding who he really is). That made me think of well-meaning parents who tell their children to be themselves, though within a certain role, that of traditional boy or traditional girl. I hope that this book—and especially its imaginative and satisfying ending—helps young readers understand that being themselves can encompass far more than their identity within gender roles, and is more important than any role could be. All things medieval fascinate children’s author Diane Magras: castles, abbeys, swords, manuscripts, and the daily life of medieval people, especially those who weren’t royalty. Diane lives in Maine with her husband and son and thinks often of medieval Scotland, where her stories are set. Her middle grade fantasy adventure The Mad Wolf’s Daughter (March 6, 2018, KD Books/Penguin Younger Readers) is her debut novel. THE LAST GRAND ADVENTURE, Rebecca Behrens’s new novel, hit shelves yesterday! Today, Rebecca’s here at the #MGBookVillage to celebrate the book’s release and answer some questions. Check out the interview below, in which I ask Rebecca about the new book, her interest in Amelia Earhart, her love of history, her feelings about flying, and more! First of all, can you tell us a bit about your new book, THE LAST GRAND ADVENTURE? Sure! Set during the summer of 1967, it’s about twelve-year-old Bea, who winds up on the adventure of a lifetime with her grandmother, who is searching for her long-lost sister, Amelia Earhart. Bea and Pidge are convinced that if they can make it from Los Angeles all the way to Atchison, Kansas—Amelia’s birthplace—the sisters will finally be reunited. But their secret, planes-trains-and-automobiles trip has plenty of surprises along the way . . .
What is it about Amelia Earhart and/or her life that drew you to write a book in which her story plays an important part? I’ve always been fascinated by the mystery surrounding Amelia Earhart’s famous last flight. Every time a new clue is uncovered or a new analysis of the evidence is announced, I hope that we’ll finally know what happened to her and Fred Noonan on their way to Howland Island . . . but until some evidence is found that definitively proves their fate, only fiction can try to answer the question. Amelia Earhart has been in the news a lot these past couple weeks. Care to comment on the continuing mystery of her disappearance? Do you think it’s been solved? It’s been an exciting couple of weeks for Earhart enthusiasts! I think the new forensic analysis of the old evidence—bones that were found on Nikumaroro in the 1940s—is compelling. (In short, a researcher reevaluated the old records and photos and has concluded it’s very likely that those previously examined remains belonged to Earhart. Unfortunately, the actual bones were destroyed decades ago and can’t be analyzed firsthand.) Personally, unless some kind of undeniable evidence is identified, like a piece of her plane with the serial number or DNA evidence, I don’t think we can declare the mystery “solved.” But I’m inclined to believe this new study is on to something. And I hope it means she wasn’t eaten by giant coconut crabs, which is an actual theory. All of your books, in one way or another, incorporate history. Have you always been interested history? I have! I credit my parents—both history buffs—who loaded my sister and I into the station wagon for road trips when we were kids. We stopped at every historical site or marker along the way, and that was a great way to learn about new events and people and places. I’m also grateful for my fifth-grade teacher, Mrs. Gerlach, who really encouraged my enthusiasm for social studies. She did a wonderful job of finding historical fiction for me to read, so I could keep learning and thinking about what we’d studied in class. Why do you think it’s important to teach kids about history, and how is fiction uniquely able to do this? Knowing the past helps us understand the present, and historical fiction makes history “real” by adding feelings to the facts. That helps readers create not just informational but emotional connections to what they’re learning. Fiction kindles awareness and empathy, which are so important to encourage in a world that is very often divided. What are some of the challenges of incorporating real people in your fiction? How do you make sure you get it “right”? In The Last Grand Adventure, both Meelie and her sister, Pidge, are fictional characters based on two real, fascinating women. It’s tricky to write about real people—which I’ve done in all three of my books so far. I think an author’s note is essential because it’s a space in which the author can point out the liberties taken with the historical record and remind readers that even though the story is sprinkled with facts throughout, it’s still fiction. What are some of your favorite history books, fiction or non-fiction? I love Candace Fleming’s Amelia Lost and the Who Was? series of MG biographical and historical nonfiction (I should disclose that I’ve worked on that series in my other job as a copy editor—but I’d be a fan regardless). For MG historical fiction, some favorites are Laurie Halse Anderson’s Fever 1793, Lois Sepahban’s Paper Wishes, Rita Williams Garcia’s One Crazy Summer, and the Birchbark House series by Louise Erdrich. I also love Jennifer Holmes’s historical fiction—she does a wonderful job of incorporating humor with her history. Would you ever attempt to circumnavigate the globe in a Lockheed Model 10 Electra? Definitely not! I can be a bit of a nervous flyer, and that’s in planes that have all the comforts like upholstered seats, in-flight entertainment, a snack cart, and a bathroom! Rebecca Behrens grew up in Wisconsin, studied in Chicago, and now lives in New York City. A former textbook editor, Rebecca loves writing and reading about kids full of moxie and places full of history. She is the author of the middle-grade novels When Audrey Met Alice, which BookPage called “a terrific work of blended realistic and historical fiction”; Summer of Lost and Found, which Kirkus praised as “a good find indeed”; and The Last Grand Adventure, which School Library Journal called “a heartfelt tale of discovery and hope.” Visit her online at www.rebeccabehrens.com. When Vanessa showed me the cover for Flight I was completely blown away. We were in Daunt Books, our backs turned from the crowd of people there for a book launch both of us safely guarding the ipad with the cover image on it. I am so privileged that I now get to share this amazing cover, designed by Anne Glenn, with you, along with a few comments on the cover from Vanessa and Janet – from Firefly, the lucky publishers of Flight! I love book covers. I know they say don’t judge a book by a cover, but I think book covers can almost sing. Beautiful colours, design and texture can make picking up a book a real experience. That’s before you even start reading the book. I had deliberately not thought about the cover to my book because I had been warned previously that often you don’t like the cover to your first book as supposedly it never sums up the story that is in your head. The story that you have spent so long crafting. I had prepared myself to hate it and had told myself to just accept the fact, telling myself ‘be grateful your book is being published.’ Just before Christmas an email came through with nine potential covers to give me a sense of what they were thinking. I confess, I sat in my office and sobbed. I felt totally overwhelmed as I loved every single one of them and I didn’t care which one they picked. They more than summed up my story. The one they thought was their favourite was the one that I also thought would be the best one as I also thought it would appeal to boys too. That was their argument as well. They were going to send it out to get feedback and then let me know. A couple of weeks ago a final version was sent through. Again, I admit it I had a little weep. The font, the colours, the images, everything did what it was supposed to. It encompassed the story. The designer Anne Glenn had really nailed it. What a star! I can’t thank her enough. The cover for Flight was designed by Anne Glenn. Anne always sends us many gorgeous ideas for every cover – the difficult part is to choose only one! This cover jumped out at me because it combined so well the different elements of the story: the horses, the danger, the war and the mountains. Vanessa’s novel is full of danger and excitement, and it’s also a very uplifting story of how two abandoned, shunned children, after terrible loss, will come to find a place that will welcome them, the way their love of horses gives them a chance to belong again. I feel this cover captured both the action and the beauty of Vanessa’s wonderful novel.